A Cretan carob tree with young green beens in May. 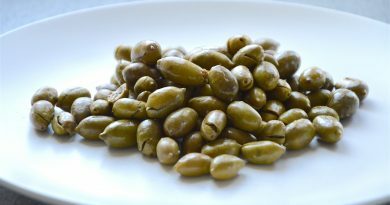 My mom told me that in her childhood in Hungary it was a favourite sweet treat from the tree, but she did not know it would have been processed in any ways for human consumption. 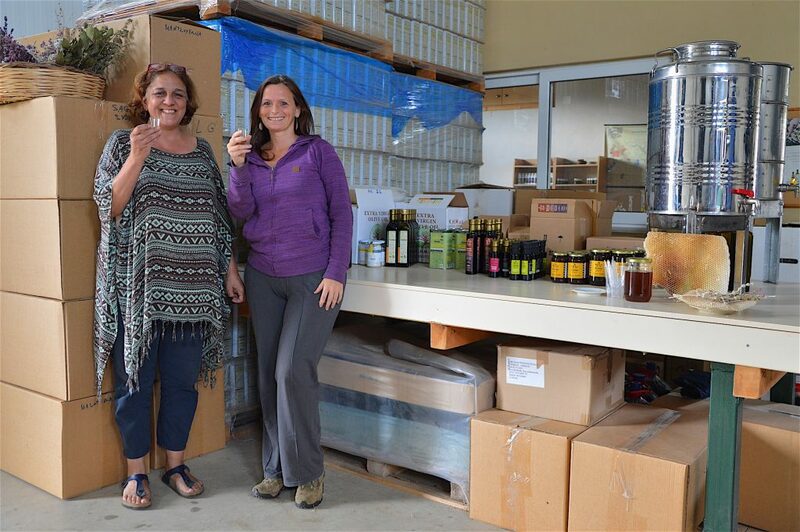 Well, humans can enjoy carob richly, and this time we went to various places, including Creta Carob, the most well-established carob factory on Crete and the workshop of the organic farm Cretian Feast, to learn & taste the many ways of using its beans. For the long list of nutritional facts, please do a your research! 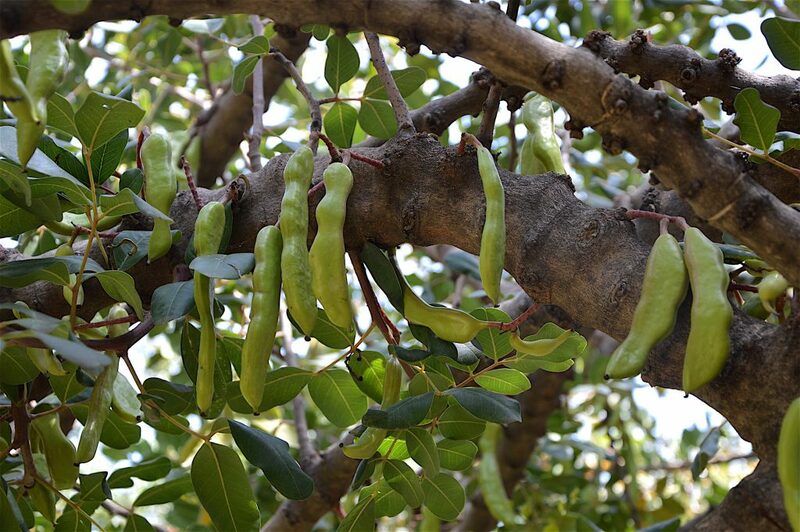 When you are out in nature, you may often see carob trees holding ripe brown beans and young green ones on the same tree, in areas of Crete where the pods keep hanging and remain untouched from the previous year. Once the ripe pods are collected, the dark brown carob beans are being utilised in so many beautiful ways. The pods can be crushed for tea, or made into powder from which then be used as cacao, cooking, alternative coffee, depending whether the pulp is boiled, raw or roasted. They will show various shades of brown. 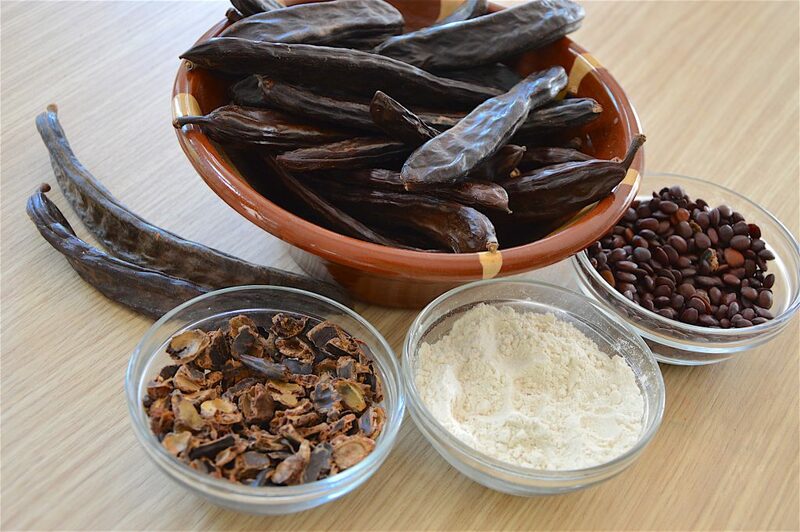 The white carob flour, however, comes from grinding the hard inner seeds. 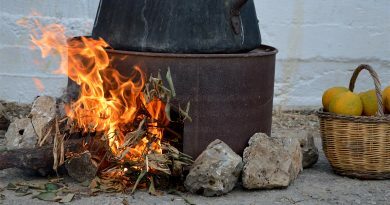 To continue naming the healthy offerings made from this yet-to-be-known-again-more plant is carob syrup, paste (tastes like Nutella), cookies and much more. 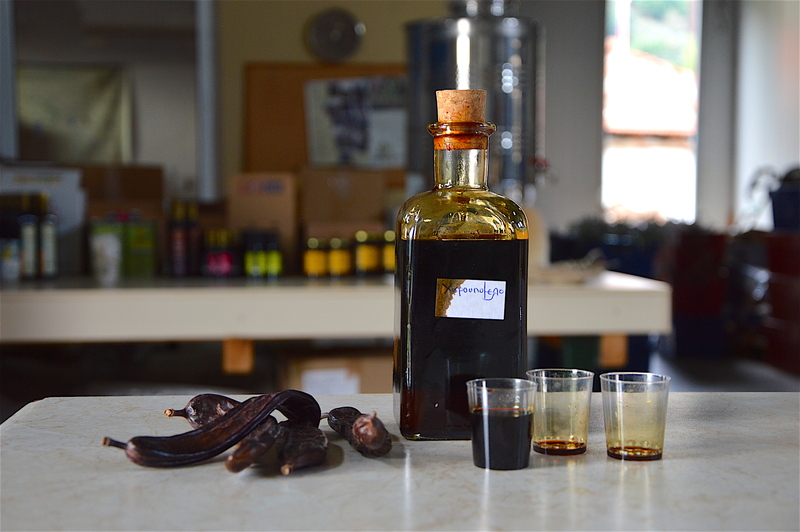 My very best favourite this year was what I tasted at Cretian Feast, where Litsa Kokolaki kindly offered me a shot of their freshly produced carob syrup. Oh my… this two-days old dark brown liqueur is the most delicious one I’ve ever tasted. Imagine strawberries dipped into the finest creamy dark chocolate!? 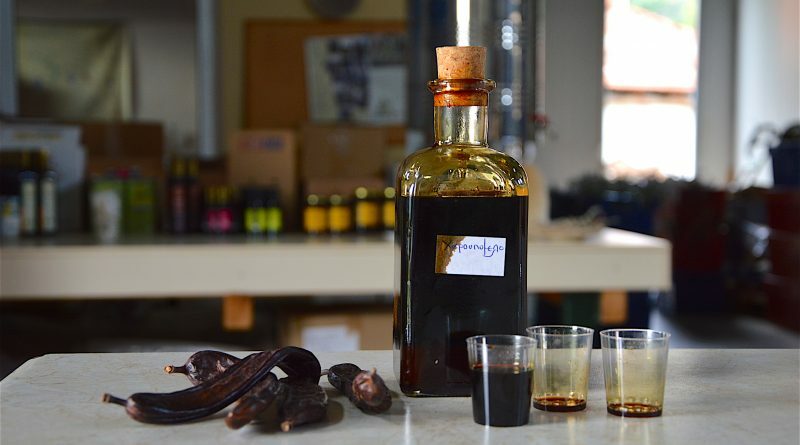 That came to my mind as the sweetly balsamic, honey-like taste of their carob syrup reached my taste buds. Not a bit of bitterness or sour side-taste what is normally a characteristic of carob and the syrup cooked from it. Must be the hands picking and cleaning the carob pods, and all the love the Kokolakis family puts into their family recipe. A funny infographics, can you spot out how healthy it is?